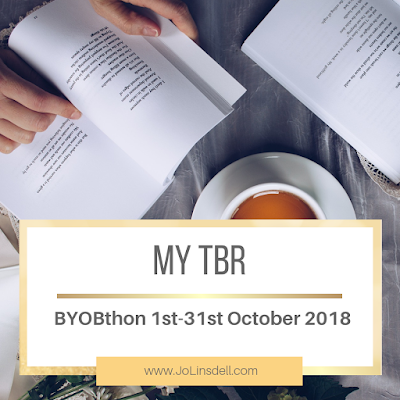 This October I'm taking part in the first #BYOBthon! Here's my TBR video with what books I'll be reading to go with which of the challenges. In Fade to Black, the thrilling sequel to Blackout from David Rosenfelt, policeman Doug Brock helps a fellow victim of amnesia untangle a murder case and discovers he may not be as distant as he thinks. After getting shot in the line of duty, New Jersey state police officer Doug Brock has been busy rebuilding his life. He’s reunited with his fiancé and started to get some of his memories back. He hopes he can continue to recover with the help of an amnesia support group and that the damage from his past isn’t permanent. It isn’t until fellow group member Sean Conner approaches him after a meeting that Doug realizes the trouble is just beginning. Sean has discovered in his attic what can only be called a scrapbook of a murder victim, but he has no recollection of the girl’s identity or why he might have gathered this information. Doug agrees to help and convinces his captain to open what had been a cold case. When he discovers that he had a personal connection to this case, suddenly he’s questioning everything he thought he knew about the case, about Sean, and about his own past. In the next page-turning thriller by David Rosenfelt, Doug Brock is back to delight readers and keep them guessing until the end. Will he be able to solve the mystery that has him running from the law? If you delight in the suspense of Stephen King and The Stranger by Harlan Coben chilled you to the bone (in the best possible way), you'll love Dark Rivers of the Heart - the classic thriller by Sunday Times and New York Times bestselling author Dean Koontz. Spencer Grant is physically and emotionally scarred. An outsider, he often sits for hours in bars just to avoid being alone - and to tell his story to someone who won't remember it the next morning. But last night he met Valerie and something about her melted his isolation. Then she doesn't turn up for work and he finds her home abandoned, with a strange message fixed to the wall. Before he has time to wonder who or what Valerie is, the house is hit by an explosion. Spencer escapes, only to find himself on the run - not only from his past but also from the conspiracy he has unwittingly stumbled on. Percy Jackson isn't expecting freshman orientation to be any fun. But when a mysterious mortal acquaintance appears on campus, followed by demon cheerleaders, things quickly move from bad to diabolical. In this latest installment of the blockbuster series, time is running out as war between the Olympians and the evil Titan lord Kronos draws near. Even the safe haven of Camp Half-Blood grows more vulnerable by the minute as Kronos's army prepares to invade its once impenetrable borders. To stop them, Percy and his demigod friends must set out on a quest through the Labyrinth-a sprawling underground world with stunning surprises at every turn. Full of humor and heart-pounding action, this fourth book promises to be their most thrilling adventure yet. Are you taking part in BYOBthon this month? 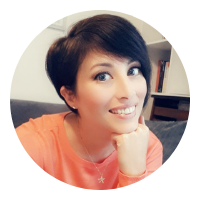 or are you planning on doing another readathon? Have you read any of the books on my TBR?